How's this for one cute young wombat? 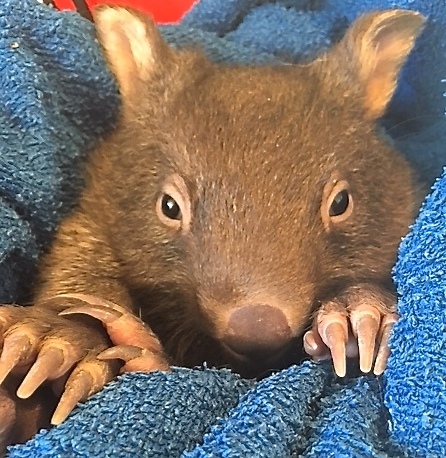 Unfortunately, like many native animals and birds, he was presented at CVH after his Mum was killed on the road. The good news is that he was uninjured and in excellent health so, after a period with a wildlife carer, he will be released back into the wild when independent and old enough to fend for himself. Don't hesitate to contact us about injured wildlife - it's critical they are seen as soon as possible after being found, and at CVH we undertake to provide care and support for wildlife free of charge. We work closely with carers from WIRES and Wildcare. Crookwell Veterinary Hospital staff were thrilled to win the 2015 University of Sydney Faculty of Veterinary Science Education Award for Rural Mixed Practice. CVH is an accredited Partner Practice of the Faculty of Veterinary Science. We host Year 3 and final year veterinary science students – in 2015, 6 students interested in rural mixed practice are staying at the practice for up to 4 weeks. The Education Awards are judged by a panel of Faculty staff members. The award winners are selected after consideration of feedback from vet students throughout the year about their experience in a range of vet practices. CVH staff are out and about in the community at every opportunity – or the community comes to us. We welcome school visits (just ring and talk with our staff about organising a visit or a talk by staff at your school), and we regularly host local secondary school work experience students. We’re proud that our vets have provided veterinary services for every Crookwell Agricultural Show and Binda Picnic Races since 1982. Our facilities include a seminar room, in regular use for puppy pre-school classes, product launches and seminars for producers by relevant organisations such as NSW Agriculture. Call us if you’re interested in organising a seminar or workshop. CVH produces quarterly newsletters with information on both companion and production animals. Please email us if you would like to subscribe to our quarterly newsletters. Crookwell Veterinary Hospital staff participated in the RSPCA’s Million Paws Walk held in Goulburn on Sunday 20th May. 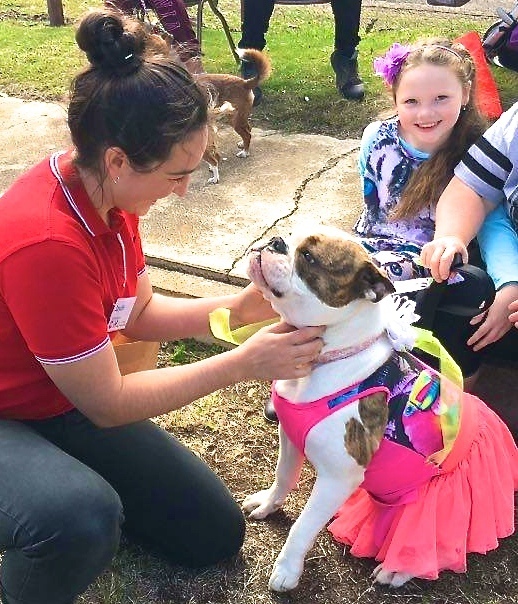 The huge national event is the RSPCA’s biggest community fundraiser of the year and over 150 enthusiastic Goulburn, Crookwell and other local district dog owners turned up with their pets to show their support for the RSPCA. CVH vets Jayde Costello, Ciara Halliday and Alison Johnson, with support from vet nurse Jayden Scobell, were part of the vet team giving health checks to all participating dogs. CVH staff assist at this event each year, as well as manning a stall with giveaways, pet worming and nail clips. Importantly, all proceeds go to the RSPCA. We enjoyed our 2006 Open Day so much we decided to do it all again in February 2014! Click here to see some of the people and animals from the day. 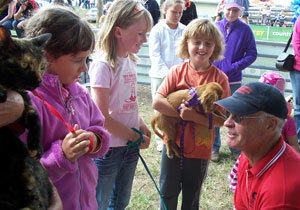 Our 2006 Open Day was a great success with over 800 adults, children and their pets in attendance. Jennie and Rob Churchill are involved in a number of not-for-profit organisations and causes that make a difference to the lives of people and animals. We hope you will be interested to read about these special projects.